Nasi Ayam Hainan @ Ipoh Hainan Chicken Rice. Okay, enough. Start the food review. 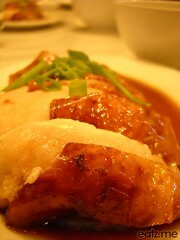 As most of Malaysians or maybe, the outsider, may known, Ipoh town is very famous with it’s Chicken Rice. 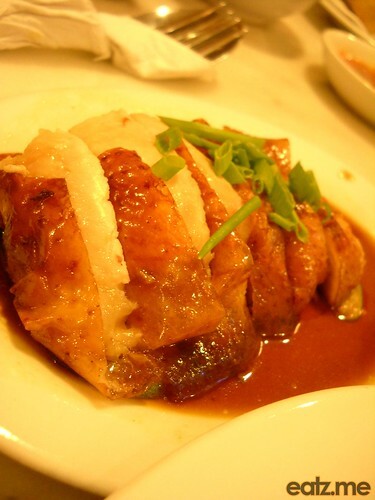 There are variety of them, for example, Normal Chicken Rice, Hainan Chicken Rice, Bean sprout Chicken Rice and many more that had been modified from the normal plain chicken rice. 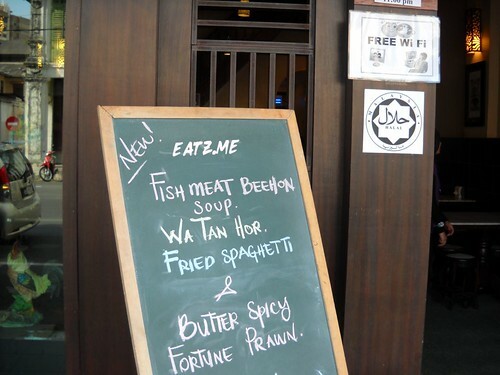 There are other foods and beverages that quite famous in Ipoh like the Bee Hoon Soup and Ipoh white coffee. But I will try to find and review it later. 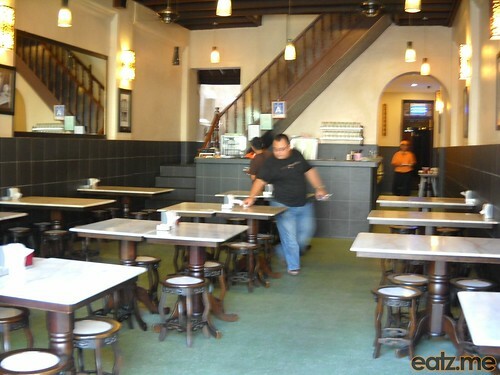 Then upon entering you may see the layout of the restaurant is like this. This hall have no aircond. If you want hall with aircond please go straight to the back of the restaurant (image below). Unfortunately there are only 3 tables available in the aircond dining room. So if no place whether you go to no aicond hall or leave the restaurant~hehe. So then the waiter gave us the menu. 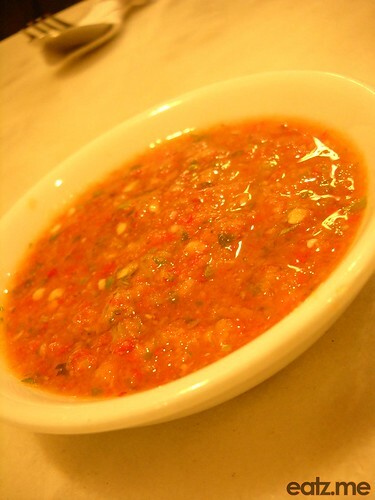 The Chicken Rice is best to be eaten with this sambal. and we also order some add on to review in this blog. 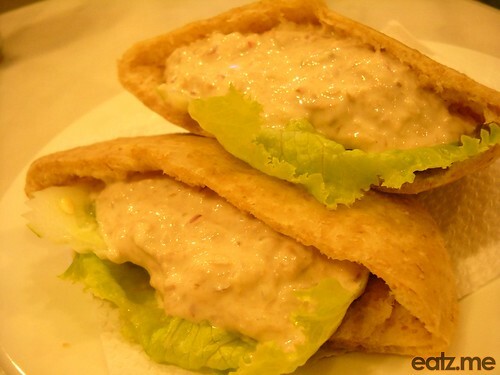 Below this is Roti Pita dengan Tuna (Pita Bread with Tuna). Good to be eaten at breakfast. The taste is Niceeee~ hehe. Recommended to be try on. 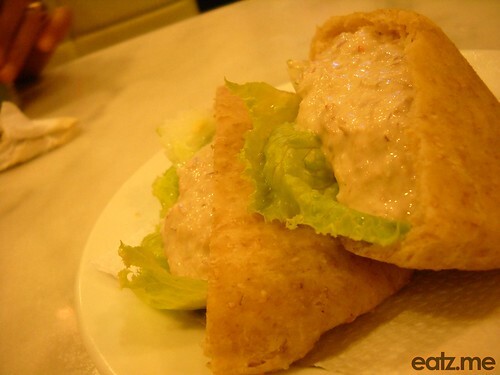 And below this are Deep Fried Tauhu with Oyster Sauce. I very, very, very recommend you to try this. It was very nice. The tauhu is very soft like the Tau Fuu Fah. 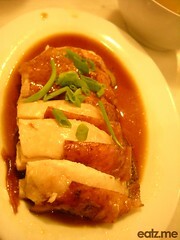 This is very nice to be eaten with the nasi ayam or by itself. or go here (wikimapia) for detail information. For the price of the Chicken Rice for normal it is RM4.80. To me it is a reasonable price. And time to rating: Food= Good, Place= Good, Price=Good. Hooyaaa~ 5 star maybe?? Okay for me it is 5 star. So what about you? Please do rate and comment. Your rating and comment are really appreciated. Nasi Goreng Udang @ Stall 34 Medan Selera Dato Sagor. We visited Ipoh in 2011 for the first time, staying at Regalodge. On our first night we had no clue where to eat, but on passing Ipoh Hainan Chicken Rice we decided to give it a go, and are so glad we did! 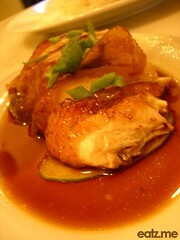 We had the roasted Hainan Chicken Rice, plus the Kerabu Mangga – both delicious. 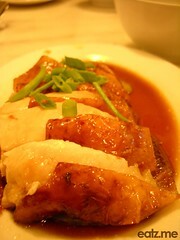 The chicken skin was lovely and crispy, yet the meat was still tender and moist. 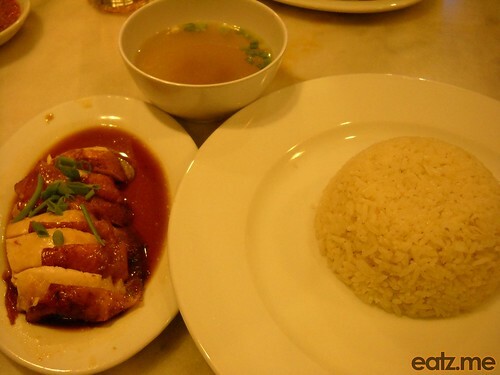 We are planning to visit Ipoh again this year, and have been tossing up whether to go back to Lou Wong or Ipoh Hainan Chicken Rice, and have just decided if we are honest with ourselves, we preferred the Ipoh Hainan Chicken Rice! Yum! Good afternoon, my class will be having a tour to IPOH on coming weekend which is 3rd nov( saturday) . I’m looking for a restaurant which able to provide lunch?HALAL) for 80+people within the price RM8 per person including drinks, the time will be around 1:30~2:30. Can you send your offer to shochaochin@gmail.com ( cc : veena.rainstorm007@gmail.com , andelkos@help.edu.my ) Hope to see your reply ASAP. Thank you. First of all, we from Ipoh Hainan Chicken Rice would like to thank you for comment in your blog on our food & etc. Hope you really enjoy the foods especially the nasi ayam.We also would like to apologize to you and your family of those incident happened. We tried our best to upgrade our services from time to time and we always value our customers. However those comment from “the victim” from UNISEM was not written in sincere manner. To make the story simple, staff from UNISEM called a day before and booked a table of 20plus pax.On that day, our supervisor called them around 10.00am to confirm and prepare the orders although no booking deposit was placed, no answer and at about 12.00pm group of 20pax of them came.they made their orders and expect the food to be ready immediately.No doubt that customers is always right but to make things worst one of the lady from the group (unfortunately wearing tudung) started to make a big fuss and started pouring the sambal on the table. no idea what was on her mind. our staff clean the mess knowing that it was done on purpose. after finishing their meals and maybe having a good time to see our poor staff cleaning and getting harsh words from them, especially the “lady”, on the way out she called our staff “anjing”, that caused the climax of the anger and caused the incident. perhaps our side of stories may sound untrue but those staff from UNISEM know the truth and it is for themselves to admit what had happened. Although this incident happened last year and we have been silent , but since many of our friends and customers whom read this blog called , sms and email us and saying that those comment is not healthy especially in our line of business, we appreciate if you could kindly delete the comment from UNISEM, Our company is wholly owned by 100% bumiputra and the main idea of opening the restaurant is to provide “HALAL” chinese food which commonly available in KL. Kindly contact us anytime, perhaps you could do some write up and comments on our branch in Greentown Suria, where over there we also served western food. Thanks and regards. Okay, to keep the harmony of this blog, I’ll remove those comment that you refer specifically here. I will not delete other negative comments as this will make my blog bias on you. Hope you understand. I’m supporting your business, I loved you effort in promoting good halal food. But you have to done it sincerely for the sake of the customers. Do you have any shop in KL or Selangor? 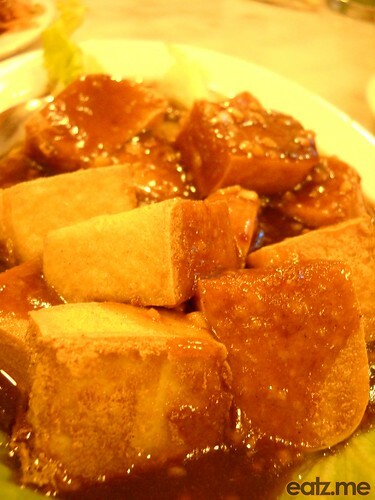 Deep fried tofu was awesome n would love to try again. Service not bad. Love to come again. 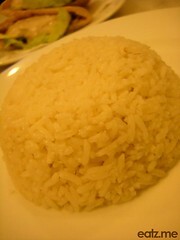 We were in Ipoh for holiday and was looking for a halal version of the famous Ipoh chicken rice to have on our way out. Thanks to your recommendation, we gave this a go. Verdict? Nasi dia mcm kurang masak, so was a tiny bit on the “crunchy” side. 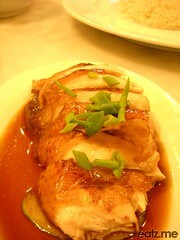 Ayam dia so-so je (ordered steamed & roasted). 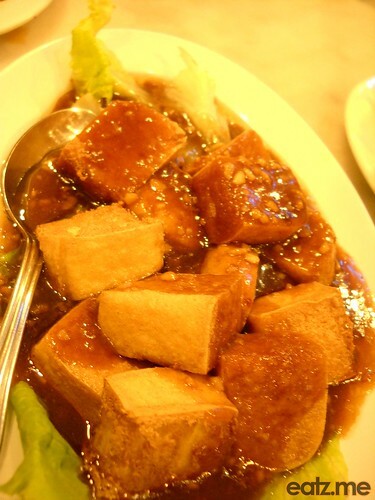 Deep-fried tauhu with oyster sauce was so awesome, we ordered an extra serving! Sambal udang (from the Specials menu) was ok je. All in all (plus 4 drinks).. total was abt RM46. Oh, and service from the staff wasn’t that bad. They were quite polite and served us efficiently. I just tried this chicken shop today after reading your review and driving all the way from Penang. 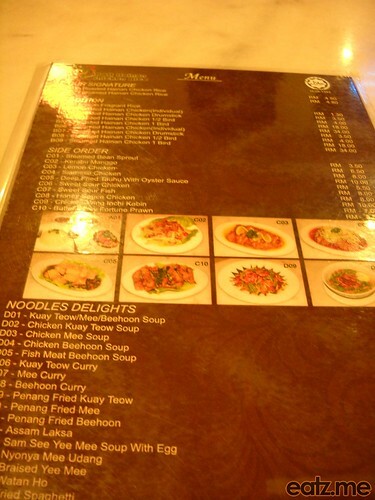 They change their menu price to RM5 for a plate of chicken rice and wantan ho. But, I was kinda disappointed with the taste of the chicken rice and the sambal was a bit blend. 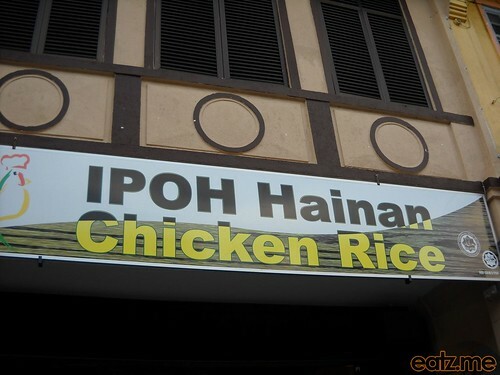 I think there are way much better halal chicken rice elsewhere in Ipoh.